Six months. That's right. 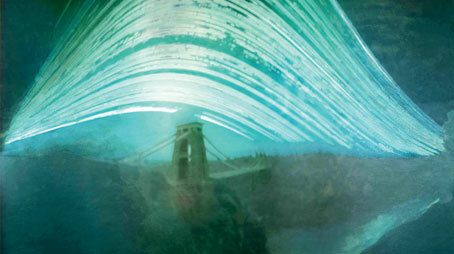 This dream-like picture shows each phase of the sun over Bristol's Clifton Suspension Bridge taken during half a year. The image was captured on a pin-hole camera made from an empty drinks can with a 0.25mm aperture and a single sheet of photographic paper.